This is not a drill! 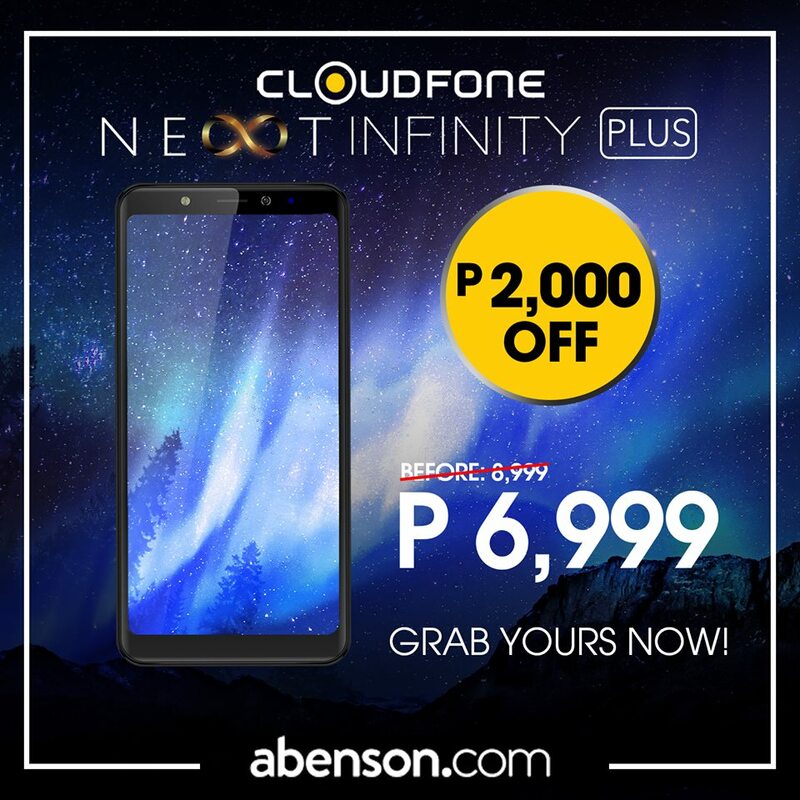 Starting February 24, Cloudfone Next Infinity Plus will drop its price at abenson.com. As a recap, the device flaunts a 5.99-inch HD+ IPS panel that has 1440 x 720 resolution, translating to 269 pixels per inch. Inside, it is powered by 64-bit Snapdragon 425 quad-core processor clocked at 1.4GHz, it is paired with Adreno 308 GPU. It is coupled with 3GB of RAM and 32GB of expandable storage, too. It sports 13-megapixel rear camera, and 16-megapixel selfie shooter. It boasts 3000mAh battery, as well. Originally priced at Php8,999, you may get yours for only Php6,999 at abenson.com beginning February 24 to March 1.